Lecture delivered by D.D. Johri on Govt. Funding and schemes for small scale industries as well as subsidies offered by the government. 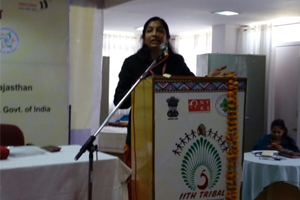 Dr. Monika Shekhawat on women empowerment through skill education and self Employment.